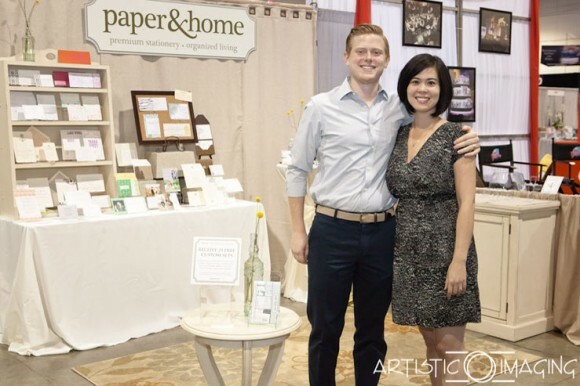 Brooke Coxen and Michael Coxen of Paper and Home are the most genuine people we know and we truly love them! We love their creativity in stationery and their willingness to always help. They were kind enough to do our amazing invitations for our First Birthday and for our Bridal Spectacular booth this summer. We have also had a ton of fun creating great stationery projects with Paper and Home including Rachel and Amar’s seating chart and Tarah and Scott’s invitations. Scheme Events is so glad that Brooke and Michael came from New York to open their amazing studio here in Las Vegas. 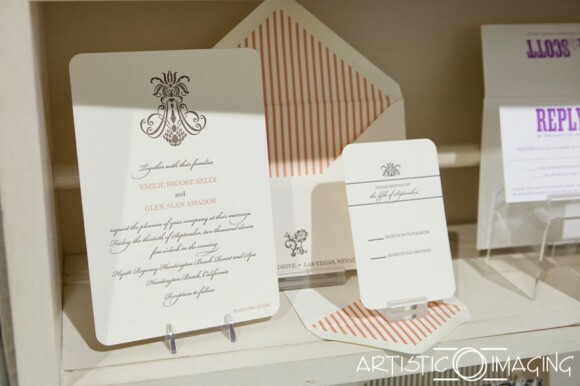 What are the benefits a bride will experience when using your invitation services? We sit down and meet with each of our clients one-on-one and take the time to really get to know them. We encourage them to share their inspiration, tell stories, and express their style. We both have an inborn instinct to be budget conscious, but won’t settle for less than the best. We pride ourselves in offering premium products and services, such as luxurious papers and custom design work, at a fair price. Because of Brooke’s background as a professional organizer, clients will experience an efficient and well-organized approach. We ensure that our clients enjoy the process, have fun, and are fully satisfied. 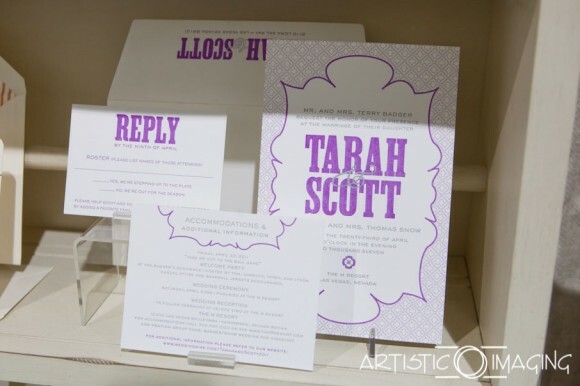 What is a misconception about invitations/stationery that you’d like to address? A misconception is that emails and evites can substitute thank you notes and invitations. Obviously, email is a necessary tool for day-to-day business and personal communication, but a hand written note is a sincere gesture of gratitude and a beautiful invitation marks a milestone. 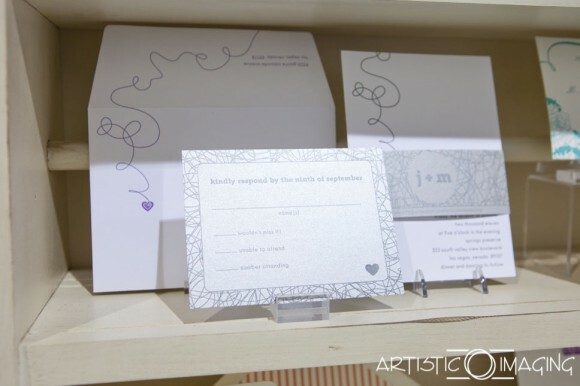 Sending personal stationery shows that you’re thinking of the person on the other end, and that you’ve taken a little extra time to connect with them. List 3 blogs or websites you use for inspiration. What are some of your hobbies outside of the wedding industry? We love going out to hear good music at a low-key venue, and exploring the great restaurants Vegas has to offer. But, more often than not, we spend nights in, making home cooked meals and sipping cocktails on our front porch. Every night, Michael goes to bed with our cat sleeping at his legs, and every morning, Brooke wakes up with it sleeping on her head. Hey, you asked. 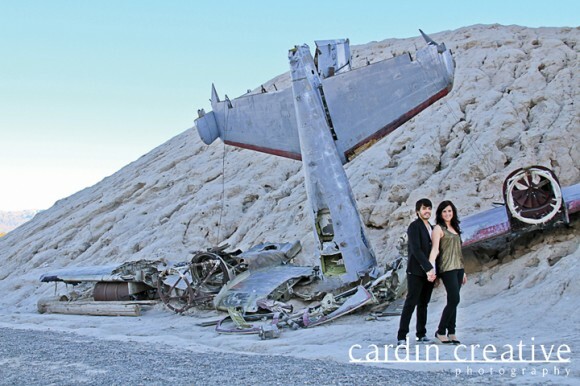 Contact Brooke and Michael at 702.776.8243 and see more of their amazing work at http://paperandhome.com. The Scheme Team has gotten to know Chelsy Cardin of Cardin Creative Photography the past few months and we can not stop raving about her! Chelsy is going to be taking photos for us at our 1 year birthday party next Monday! With Chelsy’s kind heart and artistic eye, she is perfect for your wedding or event. 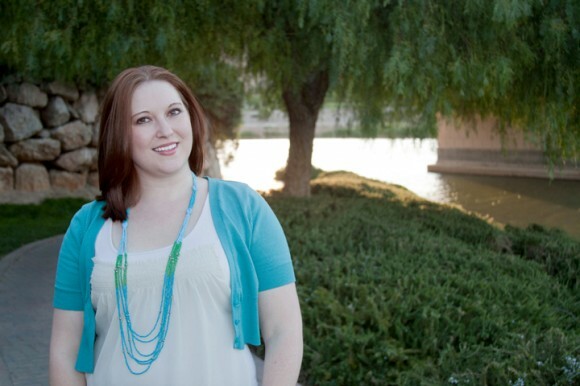 We cannot tell Chelsy ‘thank you’ enough and tell you how honored we are to be able to work with her! Every couple I work with is unique, so I customize everything for them. 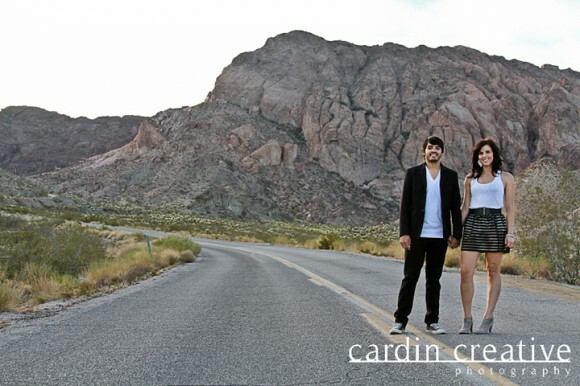 For example, a couple’s Engagement Photo Session can take place at any location of their choice around Las Vegas. I urge the couple to choose a location that means something to them and reflects their personalities so they have a unique session. When designing wedding albums and guest books, I start with a blank page (never a template) and design the album to accurately represent their photo session and style. First of all, I love photography and I love weddings. I wake up every day feeling blessed to be able to do what I enjoy! My business is just me; I meet with the clients, photograph their wedding day, edit their photos, and design their albums. Each couple gets my personal attention to ensure that everything meets my high standards and exceeds their expectations. 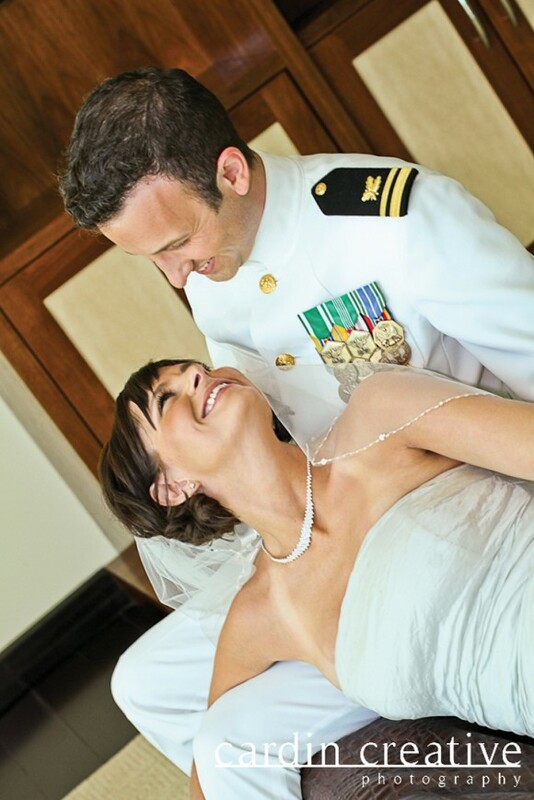 I always try to make things as easy as possible on the couple, and deliver a fun and flawless photography experience. From the initial contact all the way through the final delivery of the couples photos and album, my focus is on a fun, easy, and enjoyable experience. If the couple is local, I always meet with them to discuss their wedding and photography details. The couple can book one of my complete wedding photography packages, or build their own package to suit their needs. After they book me as their photographer, the next steps are their Engagement Photo Session, custom designed guest book, the wedding day photography, and then their wedding album. I keep the clients involved every step of the way and get their photos edited quickly so they can enjoy them. Let’s play loaded questions with Chelsy. Relax (lol). Seriously, I wish I could sit down and enjoy a little down time each day. Either read a good book, flip through a magazine, or just relax with my family. I treasure my “relaxing” moments because they don’t happen very often. A “date weekend” with my husband. We stayed at Vdara, had a nice dinner, and went to see a show. It was nice playing tourist, and it gave us some much needed alone time together. Worth every penny. I would love to go on a hot air balloon ride. Hopefully I will do it someday…I will let you know if it happens! Starbucks. I am a total addict! I’m actually having a great day working, but I would never pass up an opportunity to be at the beach. I would love to be somewhere in Southern California (Santa Barbara, Newport Beach, etc.) enjoying the cool breeze and a beautiful sunset. Contact Chelsy at 702.318.1139 and view more of her work here! Wish Upon a Wedding has been nominated for a Classy Award! Please vote for Wish Upon a Wedding in the category of Charity of the Year.